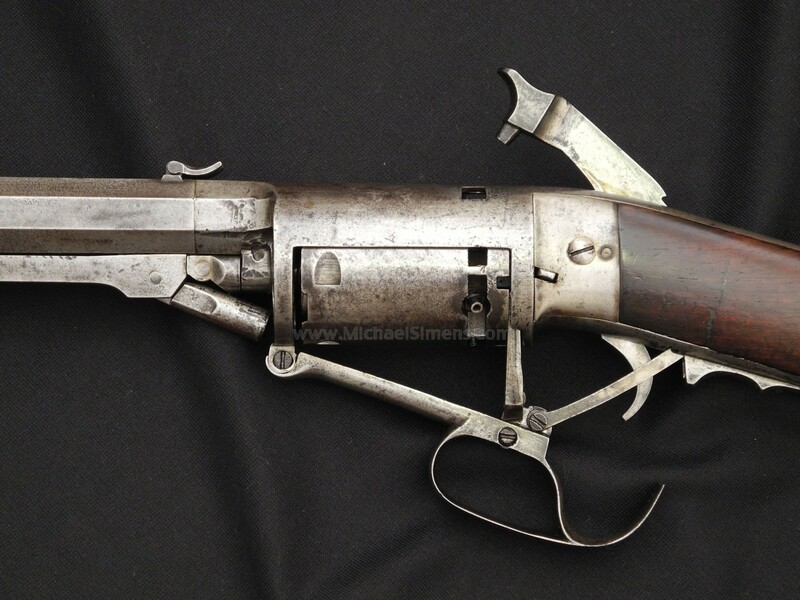 This is a rare, North & Skinner Six shot revolving rifle manufactured by H.S. North and Edward Savage of Middletown, Connecticut, c. 1856-1859. Total production is estimated at about 600 rifles. 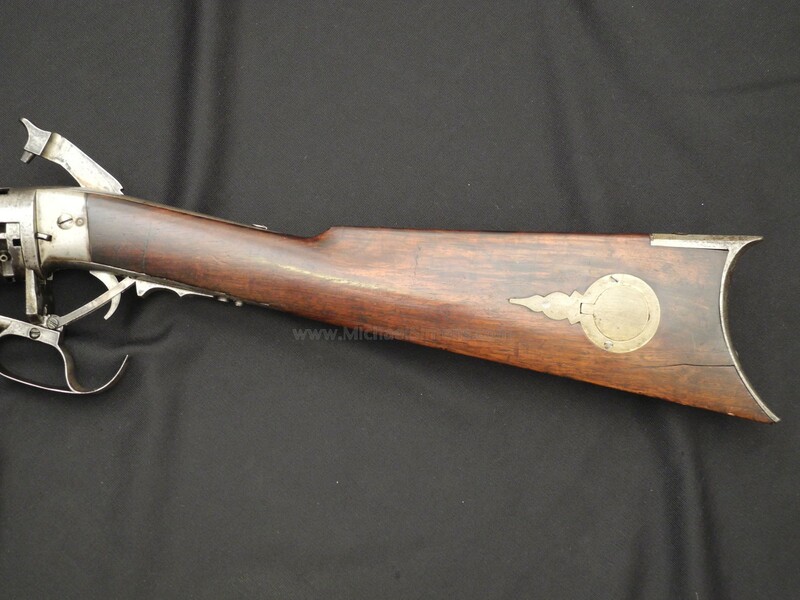 This fine condition and relatively rare rifle has a combination trigger guard/cocking lever, external self-cocking hammer and partial shield that covers the top and front of the cylinder. 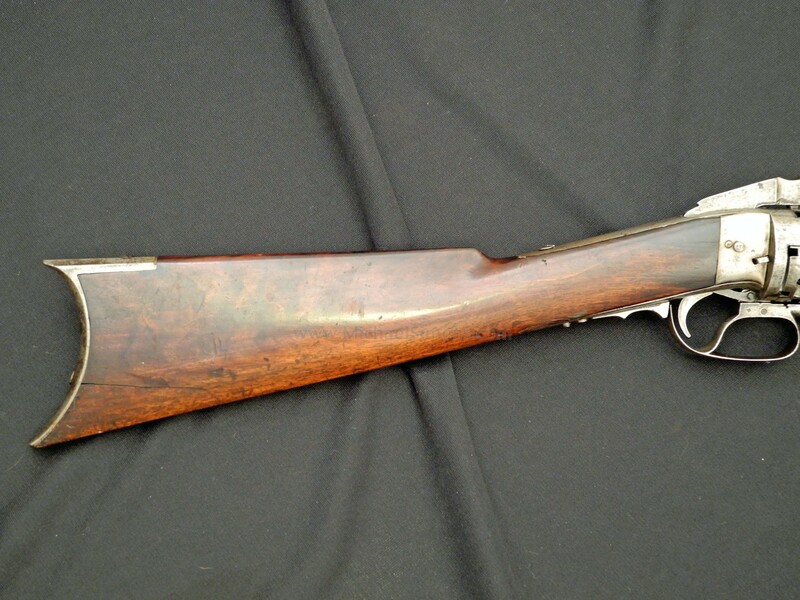 The top barrel flat is stamped "NORTH & SAVAGE MIDDLETOWN CONN. CAST STEEL" in one line. "PATENTED JUNE 1" 1852" is roll-stamped on the right barrel flat. 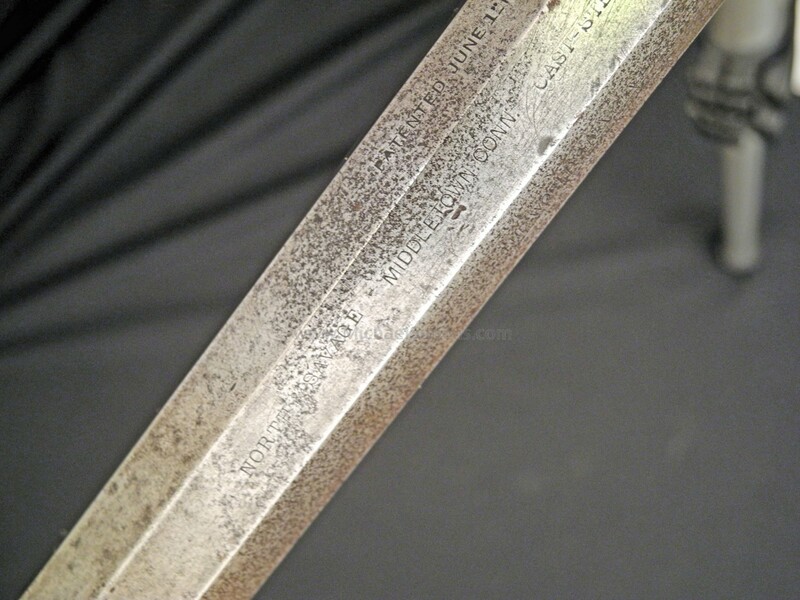 The markings, edges and action are all very fine and the metal is a gray patina. The wood is also very nice with most of its original varnish remaining. 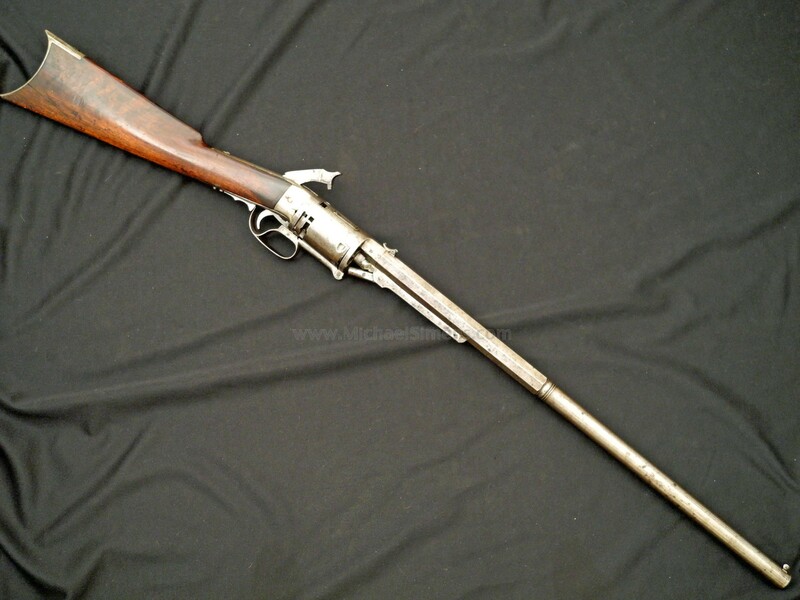 It is estimated that only a few hundred of these revolving rifles were manufactured and it is very difficult to find one in decent condition. 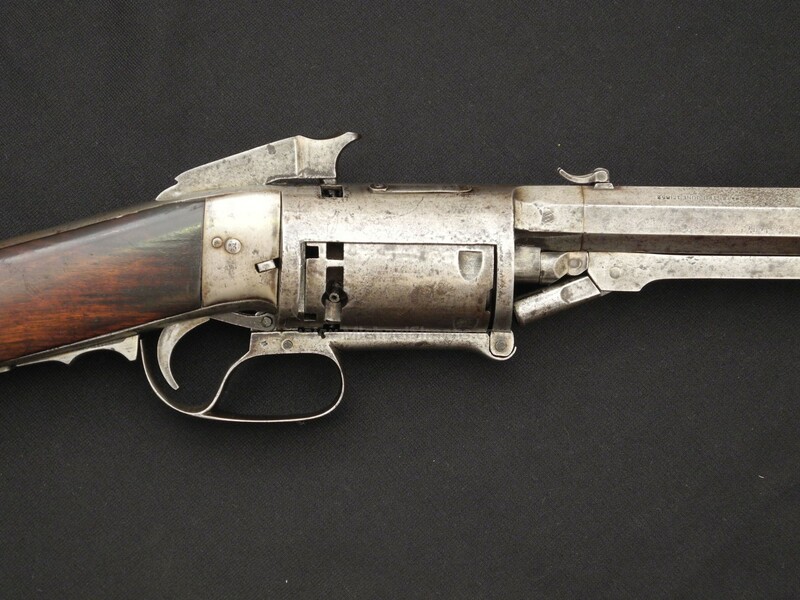 A completely re-finished gun with a few missing parts and screws sold at auction a few years ago for over $6,000. 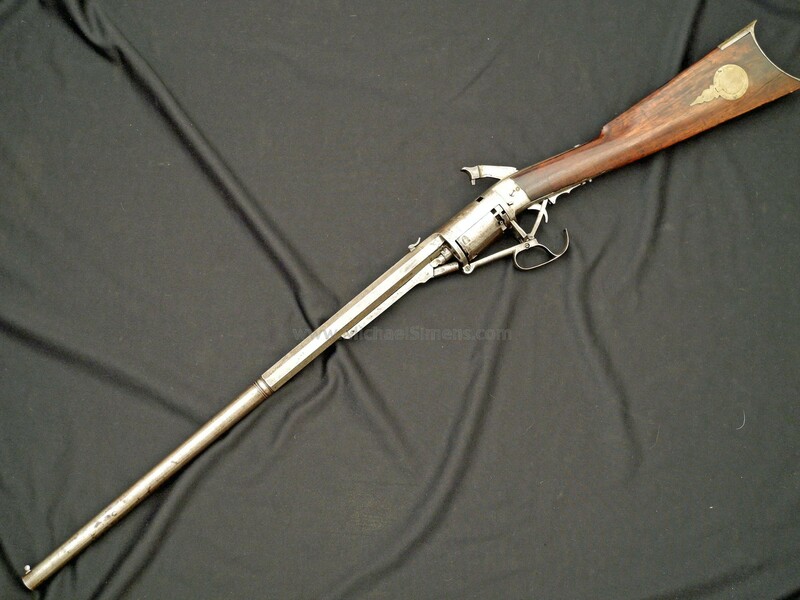 No collection of revolving rifles would be complete without one of these guns, and this is a good one.